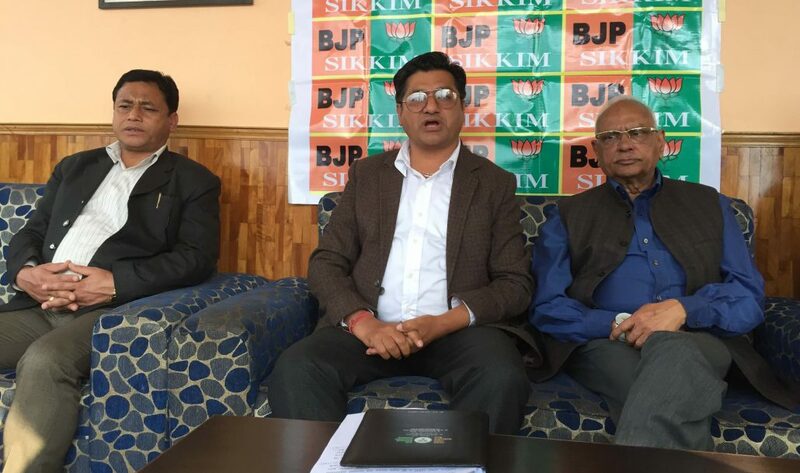 Sikkim BJP president DB Chauhan said breaking of the alliance in its final stage shows political immaturity of the Sikkim Krantikari Morcha (SKM) party. Addressing a press conference here on Sunday, Sikkim BJP president Chauhan stated that to see a strong alliance of oppositions in the State was the aspirations of the people of Sikkim. Lok Sabha and State Assembly polls will be held simultaneously in Sikkim. Addressing reporters here on Sunday afternoon, Chauhan mentioned that the BJP was in the touch with different like-minded regional parties of Sikkim for a strong probable alliance in the State. He added that in this series, a seven-member high level delegation of the SKM party, led by its party president PS Golay, met BJP’s national president Amit Shah and other high-level leaders of the BJP at Delhi. Chauhan also informed that the BJP had asked for 10 seats in the initial talks for the alliance but later the saffron party agreed on the proposal of SKM party to give seven seats but even after that the SKM decided to break the alliance in its final stage which is “betrayal to the people of Sikkim”. He expressed that some pressure on it might have “compelled” SKM party to break the alliance in the final stage. “SKM party had announced to go for the alliance in a press conference. So, the SKM party has played with the sentiments of the people of Sikkim by suddenly breaking the alliance process,” he said. He informed that even the BJP high command agreed on eight-point minimum common programmes of SKM party. Chauhan said the state unit of the BJP has already sent its report to the party high command and after approval of the party it will announce the number of seats to be contested by the BJP in Sikkim within few days.